My friend, Les Puryear, who is hosting the 1st annual small church leadership conference, was recently granted the privilege of interviewing Dr. Al Mohler, President of Southern Seminary and announced candidate for President of the SBC. Les does a good job interviewing Dr. Mohler and I think his answers are worthy of your consideration. 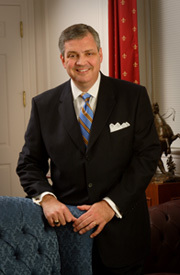 I'll be honest that although I love Dr. Mohler's theology and appreciate to a great degree what he has done as President of Southern, I am struggling with his candidacy for President simply because I am typically opposed to entity heads serving as convention President. None-the-less, he is running and these answers offer insight into his thought process. You can access the interview by clicking here.